Unexpected Lessons from American Airlines and One of the Worst Winter Storms Ever – Sooo Fabulous! Melodramatics aside, I also learned valuable lessons in patience and persistence. Perhaps the first lesson began when I received news that my late-night connecting flight from Miami to Washington had been canceled. I was directed to a rebooking area in the American Airlines terminal: a snaking line filled with frustrated, vocal passengers and screaming toddlers, inconsolable by clueless airline agents, clearly unprepared to handle the mass cancellations. When I finally reached the front, I received a standby ticket for that night and one for a seat on a morning flight. Irritable and determined, I left that desk for another rebooking center to try for an earlier, more secure departure. Alas, that line was about three times longer than the first. No way! A section of the line at the American Airlines Rebooking Center at Miami International Airport. I got on the phone to see if I could get better help there. I tweeted @AmericanAir, questioning their accommodation policies and seeking faster solutions. I walked up to random departure gates to see if staff there could get me on a flight. You get the idea! I was growing more impatient by the second, more frustrated, anxious and exhausted. Now, let’s be clear. I already had a way out of Miami, (compared to the hundreds of other passengers waiting to be rebooked) but it didn’t seem soon enough. I wanted out now! Unsurprisingly, I didn’t make the standby list for the night-time flight. So I roamed Miami’s sprawling airport and called nearly every hotel in a 50-mile radius with the hope of finding overnight accommodation. “Sold out,” was the answer each time.Ugggh! As each store and restaurant turned out their lights and closed their doors for the night and with dwindling iPhone battery power, I had lots of time to think. Making my bed at the gate in Miami International Airport. 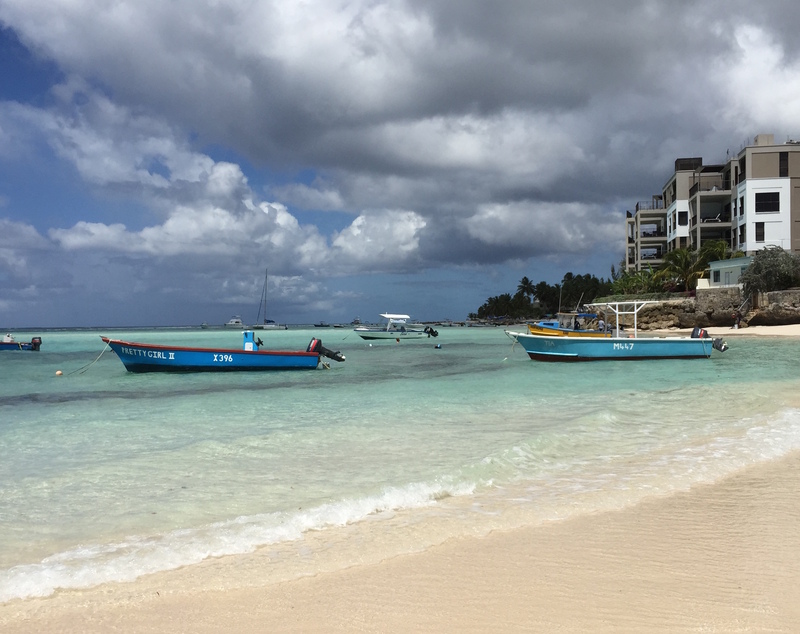 Though it then seemed to be in the distant past, I remembered my earlier 40-minute wait in line as I left Barbados, thanks to a departure process overburdened by what seemed like thousands of cruise line passengers leaving on the same day at the same time. In that moment, I realized what the trip had been all about. It was one big lesson in patience. It was a powerful example of how I, and probably many others in my “instant” generation, respond to delays and inconveniences that life serves up from time to time. We want things now and fast, even more so when everyone around us seems to be reaching their goals with much more speed and momentum than we are. We react to delays as if we’ve been denied. Sometimes, it’s a frenzied, frantic worry—most of the time silently brewing and unspoken. But it’s there. All this, even when we know we are well positioned and good enough for success, and it’s clearly only a matter of time before we reach our goal or destination. That night, I pondered on respecting the process of success; trusting the timing of my life; and most importantly, resisting the urge to question the precision of God’s plans for me (which, in retrospect, always turn out to be meticulously planned and purposefully executed). Of course, I can’t talk about patience without acknowledging the thin line between respecting the process and flow of things, and being plain lazy in pursuit of the things we want most. Here’s how I think of it: I won’t reap a harvest without sowing. I need to put in the work. But I also need to be prepared to be patient when the fruits of my labor don’t manifest immediately. Fast forward two weeks after my airport slumber party (as one friend put it), when, despite leaving Washington one day early to avoid mega snowstorm Thor, my connecting flight to Barbados for a friend’s wedding got canceled. At 2 a.m., when the rebooking hotline told me there was no way I could make it to my destination in time, from my hotel bed, I searched the tangled web of flight routes from that city on the AA app, found a miraculously un-canceled flight and convinced an agent on the phone to get me on it. I blatantly ignored all the variations of “there’s-nothing-we-can-do-for-you-ma’am” and the impatient energy oozing through the line. If it didn’t work out, fine. But I couldn’t not try. It was a reminder that in life, we’re going to meet naysayers, people who will challenge the validity of your goals and dreams, and grow impatient with your journey. But in the end, you’ll find that it pays to persist! Feeling thankful and riding Uber from the hotel to the airport, after miraculously finding an un-canceled flight during Winter storm Thor. As I finish up this post on a low-lit flight to the Barbados wedding (yay! ), naturally, I am beyond thankful that I made it out on time. I persisted past the no’s and didn’t let impatience get the best of me the second time around. Feels great! And even more deeply and more persistently, I’m begging heaven for a healthier respect for the timing of my life, for patience despite delays and for determination when the world says to give up. It’s a prayer for you and for me, rooted in genuine desire to see all of us reach our final destination of success. Since the writing of the post, (and you’re not going to believe this), I had the adventure of yet another delay, this time due to a broken plane, but with hotel accommodation provided by the airline! Hoorah for small mercies! Previous PostThings You Should Know Before You Cut Your Hair: My Pixie ExperienceNext PostA Sweet Start to Spring in Washington, D.C.